The Treasury Department also said it intended to lift sanctions against three Russian corporations. WASHINGTON — The United States imposed fresh Russia-related sanctions on Wednesday and said it intended to lift sanctions against Rusal Plc, EN+ and ESE, according to the Treasury Department. The three companies had agreed to restructuring changes including reducing Russian tycoon Oleg Deripaska's stake. The Treasury added 18 individuals and four entities to the sanctions list, including the chief accountant for a Russian company allegedly involved in information warfare. 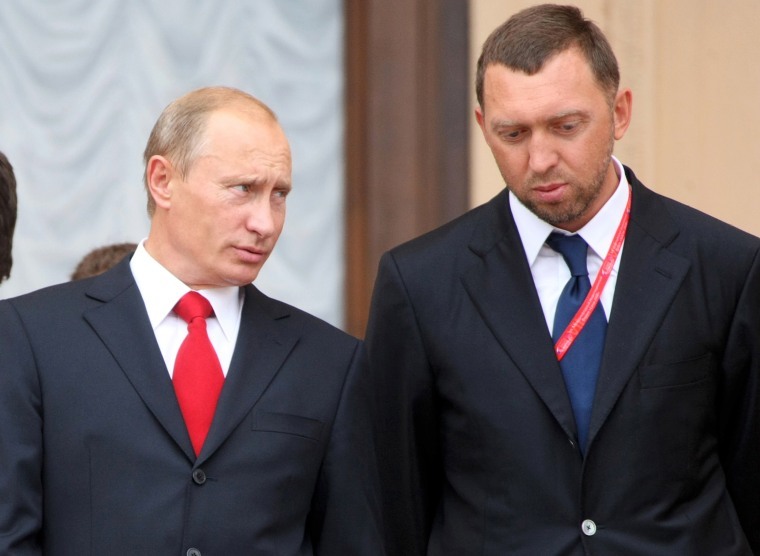 Deripaska, a Russian billionaire with ties to President Donald Trump's convicted campaign chairman Paul Manafort, is blacklisted from the U.S. financial system for being part of Russian President Vladimir Putin's inner circle. By reducing Deripaska's stake in the companies, the Treasury Department said they untangled and protected themselves "from the controlling influence of a Kremlin insider." Many of the Russian intelligence officials sanctioned Wednesday were either indicted earlier this year by special counsel Robert Mueller, who is probing Russian interference in the 2016 election, or were connected to the nerve-agent attack against ex-Russian spy Sergei Skripal in March. That poisoning took place on British soil.